Are you thinking of starting an eCommerce business in 2019? Well, you’re going to love these beautifully designed, conversion focused, WordPress themes to help you succeed. Running an eCommerce business is one of the most exciting and rewarding online business ventures you can go into. I know this because, since 2006, I have been running an eCommerce business selling original art online. Whether you plan to sell physical or digital goods, it really doesn’t matter, in the list below you’ll find a theme to meet your needs. You may or may not remember what it was like 12 years ago, but getting set up with an eCommerce site back in the day was a lot tougher. Internet technology has moved on and long gone are the days where you could only dream of starting an eCommerce business, without spending a small fortune, and waiting around for months for it to be completed by a developer. For the most part, you can get set up today for just a few hundred bucks. We have the tools and the technology to make it happen. All you need is some reliable web hosting, a secure (HTTPS) domain name, and an attractive eCommerce-ready theme template to generate lots of sales. There’s a lot of additional groundwork to do as well, but we won’t get into that today. We’ll leave that for a later post perhaps. Anyhow, below is a list of 10 beautifully crafted eCommerce WordPress themes you can get your hands on to help you grow a profitable eCommerce business and keep your customers coming back for more! Take your pick and make a start! Special Note: Many of these templates are optimized and pre-styled for integrating WooCommerce. The most powerful eCommerce plugin for WordPress. The Ketty Theme is a clean, modern and stylish theme bound to impress your visitors and convert them into paying customers. This theme boasts a stylish card-style or “grid” layout with a minimal design structure. This is a gorgeous theme that looks and functions flawlessly on all devices. You can use this theme on a Magento or Prestashop eCommerce platform. Next up on our list is this beauty, the Subas Theme. 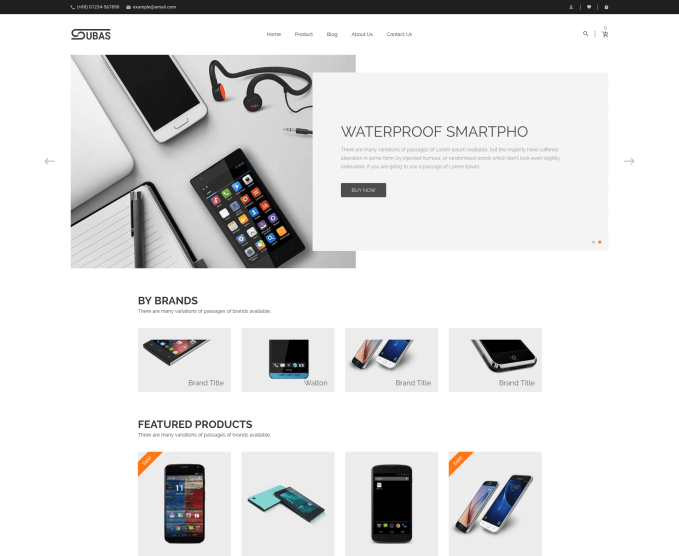 The Subas theme is a stunning modern electronics or gadgets store theme that combines simplicity with exceptional usability. Aesthetically, the theme design looks like it was inspired by Apple’s online store, using primarily two-tones, a grid layout with plenty of white space around. Mega Menu (with or without images). Support for multiple currencies, Google Maps, and more. 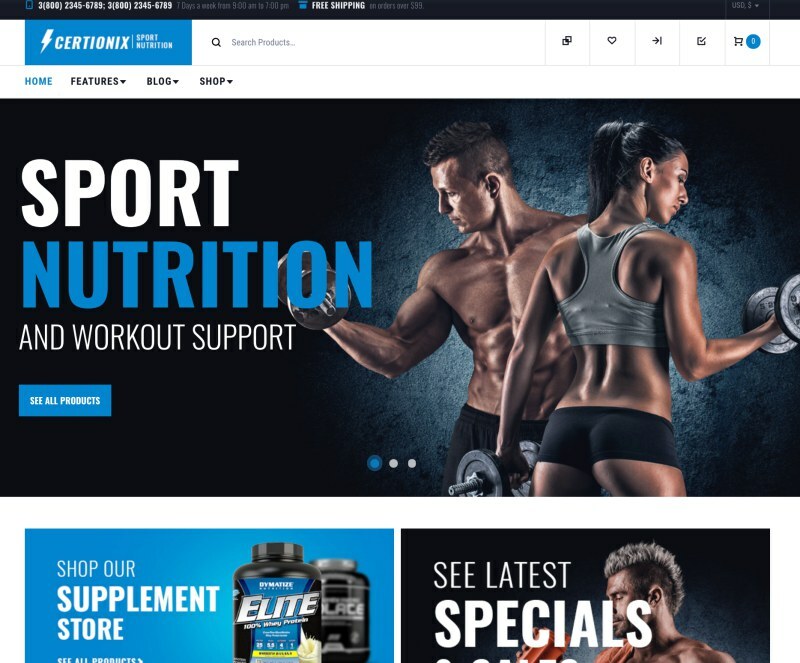 If you plan to set up a Sports Nutrition information or e-commerce website in 2019 then you’ve got to take a look at the Certionix theme. 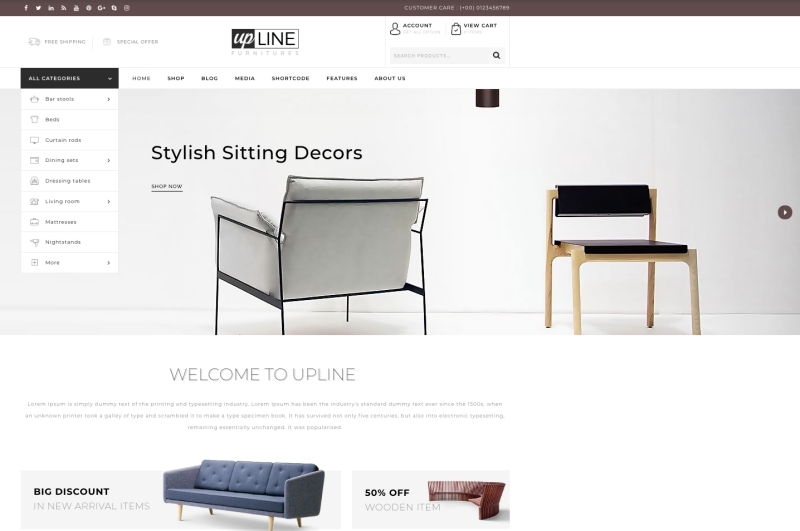 This theme looks great, and it comes with a host of options, features, and customizable page templates that will make shopping on your website a pleasurable experience for your customers. Drag and drop page builder built in. A ton of additional giveaways. 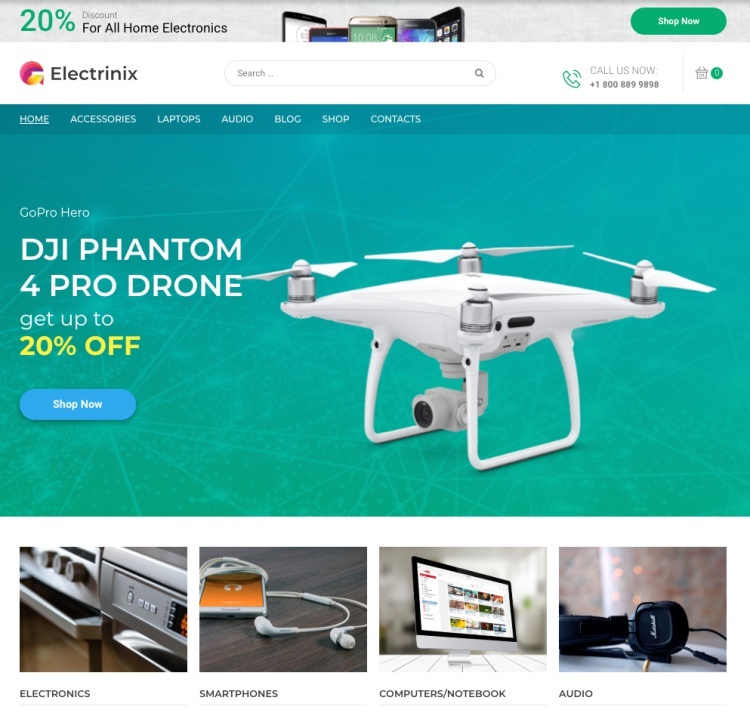 Another one of our favorites is this stunning electronic shop theme perfect for your gadget eCommerce website project. 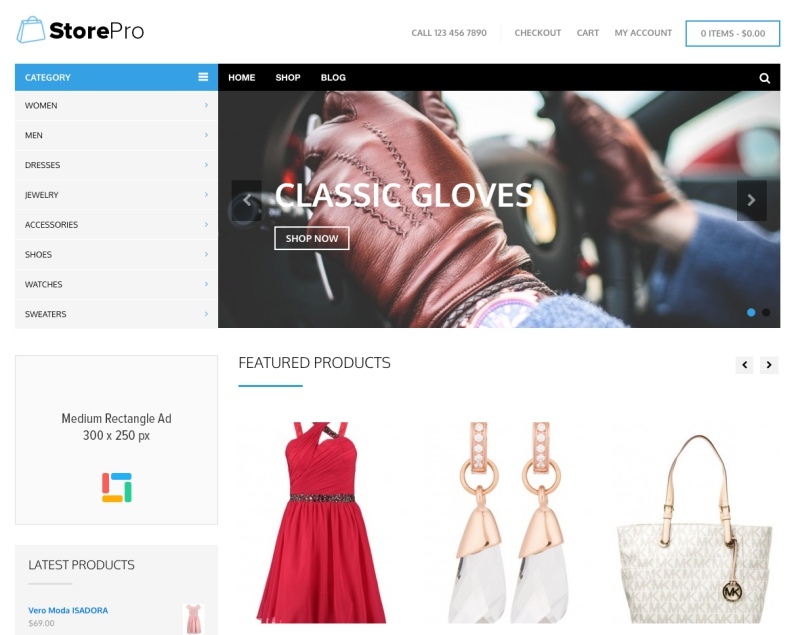 The theme is WooCommerce-ready and can be fully customized using Elementor page builder. Library of high-quality images to use. Jet Elements plugin to increase the functionality of your website. Fully mobile-responsive design, and more. Our fifth top eCommerce theme for WordPress is the Naturio food theme fully optimized for WooCommerce. 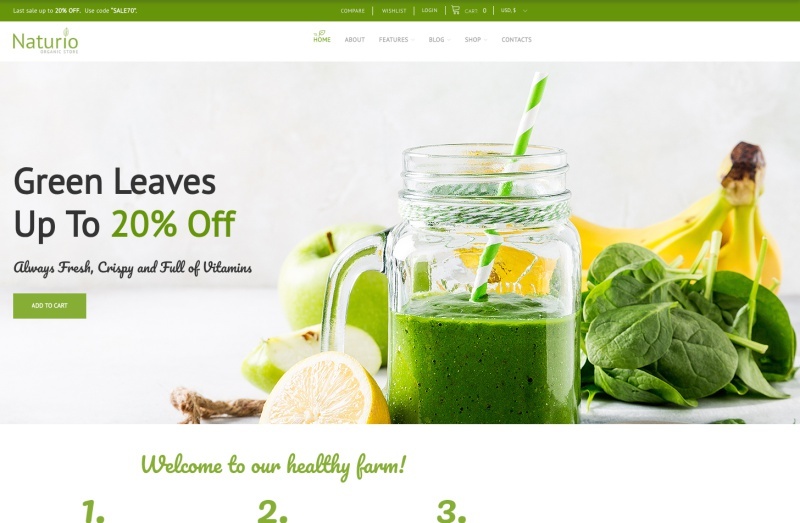 If your goal is to build an online food store niche website in 2019, this theme will surely get your visitors talking and customers flocking to do business with you. WooCommerce package for full functionality. Mobile responsive design, and much more. You’ll have to demo the theme for yourself to explore all of the features, options, and functionalities. UpLine is a personal favorite of mine. This is a stunning, clean, mobile responsive WordPress theme perfect for your furniture, toys, antiques, art gallery store, bookstore business project. Whatever your goal, you can achieve it with this elegant theme design and clutter-free layout. Features include a host of goodies for increased functionality, usability, and improving security and performance of your website. Mobile responsive design, and more. 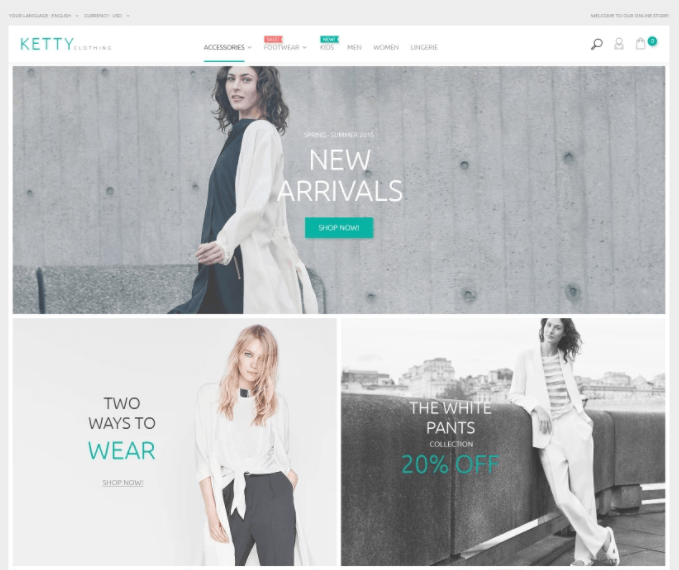 If you’re thinking of starting a fashion, accessory e-commerce online business, then Shoppy is the perfect WordPress theme for you. Personal support and free updates. Custom fonts and menus, and more. Shoppy is one of the more simple themes to maintain and manage. Here’s another great looking e-commerce theme created by the good folks over at Theme Junkie again. StorePro is power packed with a host of cool options and features to help you create the perfect e-commerce platform for whatever niche or marketplace you want to dive into. Full WooCommerce integration and support. Number 9 on our list is this beautifully crafted, minimal, card-style layout e-commerce theme for WordPress over on the ThemeForest marketplace. Whatever type of physical or digital product you want to sell online, this theme will get your customers motivated for sure and help you boost your online sales conversions. Robust HTML code and exceptional CSS. Prebuilt layouts with drag and drop page builder. Blog and grid layout, and more. If you’re planning to launch a website to promote your latest brand of clothing in 2019, then you’ll love the Jessica child theme for Genesis. Genesis has a big reputation which needs no introduction, check out my review of Genesis here. This particular child theme will empower you with all the features and options you need to create an eye-catching, conversion-optimized e-commerce website for any type of online selling business. This theme is not only ideal for fashion niches, but also health and beauty, artists and creative people websites, and more. So, are you totally inspired to kick-start your eCommerce business website in 2019 after checking out these awesome themes? What type of eCommerce business do you have in mind? Feel free to share your ideas below. Whatever your plans are, I want to wish you the best of luck in your venture. You’ll love owning and running an eCommerce business, it’s hard work and it can feel tedious at times, depending on what niche you go into, but it can be super rewarding! Psst! Do you need help setting up your eCommerce website from start to finish? I can help you with design, branding, WooCommerce setup, and everything else in between. Learn more here.